The Vend FAQ page covers various topics, including costs, security, support, and more, so you should be able to find most, if not all of the answers you need here. However, if you still have some unaddressed questions, feel free to get in touch with our support team or our sales consultants at sales@vendhq.com. 1. I don’t want to spend a fortune, how much does it cost to switch to Vend? We don’t want you to spend a fortune either which is why Vend has a pricing model where the cost depends on how big your business is. Plans start at US$99 per month and can go up to US$159 per month for each store location (US$129 per month if billed annually). Custom quotes are available for retailers with six or more outlets. 2. I’m a very busy person, how much time does it take to set up Vend? 3. Is Vend compatible with my existing hardware? Can’t find your existing hardware on our list of recommendations? Contact our sales consultants at sales@vendhq.com or sign up for a free account and see how Vend works with your store’s existing hardware. 4. I want to use Vend on an iPad, is it going to work for me? First off, good for you for deciding to use an iPad-based solution. An increasing number of retailers are opting for mobile POS systems because they’re sleek, portable, and allow you to bring the check out process to your customers. And yes, Vend runs great on an iPad. You’ll be able to get the system up and running either by downloading our iPad app or using our web-based application. 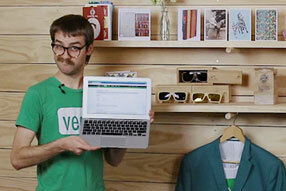 Check out this article for step-by-step instructions + a video on how to set up Vend on your iPad. 5. I’m not a techie person, will I have a hard time migrating my products and customers to Vend? It shouldn’t be that difficult if you know your way around CSV files and importing tools. Vend lets you add your products one-by-one and we also have a CSV import functionality if you want to add products in bulk. How do I import my products into Vend using a CSV? We even made a guide to try to make it easy and fun to get started. Check it out here. And if you need someone to guide you throughout the migrating process (or even do it for you) you may want to consider investing in Vend professional services so we can get you up and running in as little time possible. Find out more. 6. 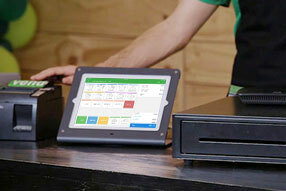 I’m already comfortable with my current POS system, is Vend really a better option? 7. I’ve been using the same merchant processor for years, can I still use it with Vend? You getting paid is very important to us, which is why Vend works with leading payment processors including PayPal, Tyro, Element, DPS, and many local merchant service providers so you can accept various payment types including cash, credit, debit, and mobile payments. There may be some variations depending on your country, so for more specific details on payment processors, please visit our payment processing overview and this handy help article on Integrated Card Payments and Merchant Providers. 8. I love our accounting software, does it integrate with Vend? Vend works great with Xero online accounting. Data flows seamlessly between your POS and accounting software giving you greater insights into your business performance and eliminating the need for manual data entry. The integration is simple to set up and free to use, check out more information here. Vend also integrates with other cloud-based accounting software like Xero. To see if Vend connects with your other business tools, check out add-ons page here. 9. I don’t live in the USA, does Vend work in my country? Vend has offices in New Zealand, Australia, USA, Canada, and the UK, and works in many countries around the globe. Talk to a friendly member of our team for more details. 10. I don’t like to get stuck if I have questions, can I call your support team any time? We wouldn’t want you to get to get stuck either. Fortunately, Vend support is available 24 hours a day, 7 days a week. Online and phone support is free with every plan, so you can send us a message or call whenever you get stuck. You can also consult our Help Center anytime to find the answer to your question. 11. I own a seasonal business. Can I cancel my subscription but still keep my data? You sure can. We know how valuable your data is to you so we’ve taken the steps to ensure that you never lose it. Vend offers an “On-Ice” service for US$5 a month, where retain all your store data until you’re ready to use your account again. If you prefer to download the data yourself, or if you want to permanently cancel your account, you can export your sales history, product list, customer list, and any other reports you might need. Click here to learn more about Vend’s On-Ice service and instructions on how to export your store data. 12. I don’t have a reliable Internet connection, can I still make Vend work for me? While we highly recommend that you run Vend with a stable Internet connection, we know that occasionally, your web provider might let you down. That’s why Vend has an offline mode that still lets you perform a number of store tasks such as taking cash payments and searching for products. Other features however, won’t be available offline. To learn more about what you can and can’t do with Vend when you’re offline, check out this help article on offline mode. Needless to say, you need to invest in a reliable Internet connection to make sure that Vend (along with other parts of your biz) can function without a hitch. 13. I have thousands of existing printed barcodes from my old POS, can I use these with Vend? Yes. Existing barcodes can be scanned into the SKU field in the product page, so you won’t have to generate new ones from scratch. Check out this article for step-by-step instructions + a video on how to import your products into Vend using a CSV. 14. I have an online store, will Vend integrate with it? Vend connects directly with Shopify, so it’s the easiest integration we have when it comes to online shopping carts. However, Vend can also talk to other ecommerce solutions (Magento, eBay, Etsy, BigCommerce, etc.) via integration services like Stitchlabs, Vortex, and more. It might cost a little extra, though. Click here to see our full list of integrations. 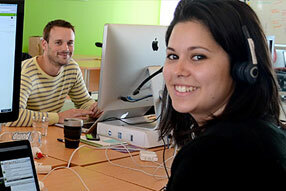 You can also discuss your ecommerce situation with the Vend support staff or one of our certified experts. 15. I have more than one store, will Vend work for me? Yes. Vend works great for retailers with multiple locations and it makes it easy to manage your inventory, staff and customer information across all your stores. See our pricing page for more information about our multi-store plans. 16. I don’t feel comfortable with web-based solutions, is my data safe in the cloud? Relax, Vend doesn’t store any sensitive data (like credit card info) so data breaches are highly unlikely. As far as crashes or outages, our entire server is backed up to the hour so in the (again, highly unlikely) event that something goes wrong, your data will remain safe. If anything, your data is actually safer when you store it in the cloud compared to saving it locally. Why? Because in case (knock on wood) something happens to your devices (i.e. you get the blue screen of death or they get stolen) you’ll still be able to access and take control of your information using other devices that can log into Vend. 17. I need someone to come over and set up my POS system. Does Vend do “house calls”? We get it. You’re business-savvy, but not necessarily tech-savvy. Good thing Vend has partners in various cities all around the world who would be happy to come to you. These Vend partners can set up your POS system and educate you and your employees on how to use it. That way, you can focus less on the techie details and do more of what you love. Click here to view our expert directory and locate a Vend partner near you. Can’t find one in your area? Vend also offers professional services which are designed to take the pain out of migrating from your current POS system. Find out more. 18. I like Vend but don’t know where to start, what should I do next? But the best and sure-fire way to determine if Vend is a good fit for your biz is trying it out for yourself. Try us for free for a month, and take advantage of our email support while you’re at it so you can get all the answers you need.